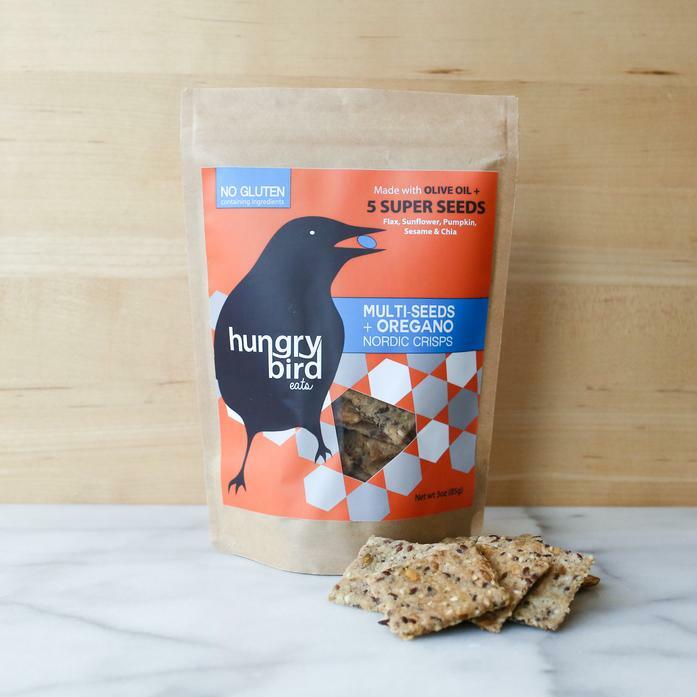 A gluten-free twist on traditional Danish crispbread, these oregano-kissed baked crisps are a healthy, real-food alternative for kids and the adults that chase them around. These crisps come bite-sized and are packaged in a re-sealable to-go sized pouch to be a perfect fit for anyone who is active or just plain hungry. Gluten-free, organic, nut and soy free, vegan, non-GMO, and no added sugars or preservatives.